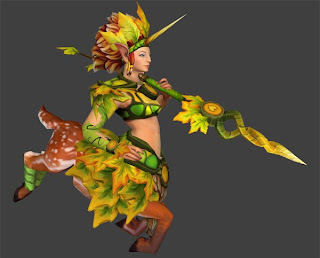 Enchantress is one of the best jungling hero in Dota. She can acquire some creeps in the jungle to push quickly and destroy towers on the early game. She can also become a reliable damager with her ultimate which will deal a painful damage from a long range attack. This skill helps you survive while ganked or while in a teamfight because your opponenet will have their attack speed reduced while attacking you, so they will lose damage potential. This skill will gives you the ability to conquer the creeps in the jungle. 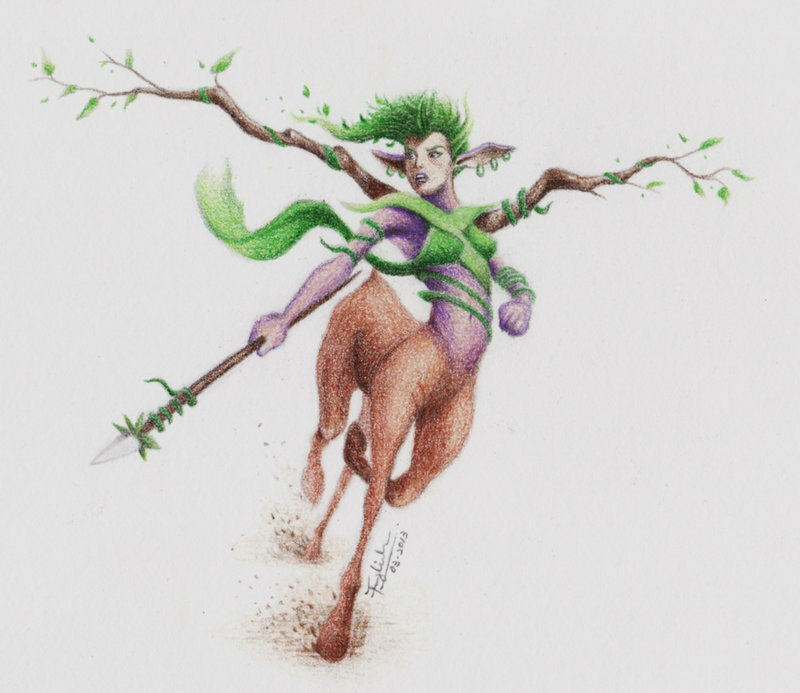 On the early game, the big creeps like centaur, Wildkin etc are very strong. They will gives a massive amount of damage to enemy and towers. the creeps are also useful for ganking because it has some unique ability such as stun or tornado. This skill can also become a slowing skill when casted on enemy's hero, very useful to catch enemy that tries to run away. A healing power come out and healing all nearby allies. A nice skill to helps team members to survive in the low Hp. This skill is your main skill for harassing enemies. It is very painful skill for an INT hero like you. The further the lance moves, the more painful it will be. Why maxed Enchant first? You need this to gather creeps from the jungle. Why maxed Nature's Attendants before Untouchable? Nature's Attendants is more important than Untouchable because it will keeps your team survive in many situations in the game. On early game, you should not go straight into the lane because you should acquire the creeps in the jungle to gank enemies and also for early pushing. You can stay in the jungle for a while in the early game while gaining more level and more creeps. If you already get 3 creeps, you can come to the lane and push the lane for early tower that gives gold advantages to the team. try to use TAB to change between your creeps, try to maximiz every creeps ability like the Centaur's stun, Wildkin's tornado, etc. Also remember to slow down enemy using enchant and also remember to heal allies using the Nature's Attendant. Mid game is still the time to use all the creeps. You should try to maximize every creeps ability. Use Wildkin's tornado to destroy's enemy's push wave, the damage is constant and not so painful, but with the time goes by, it will deal lots of damage to the pushing wave. Or you can use this tornado to push enemys lane. Or, Use Centaur to stun the enemy. and Use Troll to net the target. Roaming is your job in this stage of the game. Use your creeps to accompany you to kill all the enemy in every lane. It is good to kill enemy's carry to delay his farm and increase your team's chance to win the teamfight. Remember that you have the Impetus, it will help the team to deal physical damage in the late game teamfight. Although you are not 100% carry, this Impetus skill is so good to deal damage and harass all the enemy. Also use Nature's attendant maybe still useful here, to keep all team members alive during a hard teamfight. Maybe you can use some item you bought, like Sheepstick or Mekansm. All items are useful to keep your teams powerful in the teamfight. Why Aghanim's Scepter? Increase the distance taht means +damages from your ultimate. Nice item to win a teamfight. And this item also gives you more survivability because of its + HP. Why Orchid? Orchid add damages and attack speed. And also gives a silence skill and amplify damage for a single target. Silence is very good for ganking purpose. A silenced target can't do anything so your team can easily harass enemies. Why Shiva's? A good iteam to slow down and nuking enemies in the area. The slower ability will makes enemies have a hard time in moving and attacking, and the damage will reduce enemies Hp in the AoE. The +Armor makes you become tanky and can survive in the though teamfight.